Legendary artist Tom Waits is streaming his new recording of Soul Of A Man from the forthcoming album God Don’t Never Change: The Songs Of Blind Willie Johnson on Soundcloud. Waits also recorded John The Revelator for the album. The album — to be issued on CD on February 26 and soon after on vinyl — features newly recorded versions of the iconic slide guitarist/vocalist’s most seminal material. In addition to Waits, Lucinda Williams, Derek Trucks and Susan Tedeschi, Cowboy Junkies, Blind Boys Of Alabama (with Jason Isbell on guitar), Sinéad O’Connor, Luther Dickinson featuring The Rising Star Fife & Drum Band, Maria McKee, and Rickie Lee Jones all deliver deeply moving interpretations of Johnson’s otherworldly “gospel blues” music. Blind Willie Johnson, whose life remains shrouded in mystery, was born in Pendleton, Texas in 1897 and grew up around Marlin, Texas, He recorded a total of 30 songs between 1927 and 1930 for Columbia, leaving behind a priceless legacy of the unforgettable music he created by marrying the raw, gospel fervor of his voice with the steely blues fire of his guitar. His songs were mostly traditional or came from hymnals, but when Johnson performed them, he transformed them with his soul-shaking voice and amazing slide guitar. Johnson was among the best-selling black gospel artists of the era, but the Great Depression ended his recording career. He continued traveling as a street singer, moving between Dallas, Galveston, Houston, Corpus Christi, San Antonio and finally to Beaumont, where he thundered out his street corner evangelism, spreading his sacred message through his transfixing music. He died in 1945 in Beaumont, Texas at the age of 48. 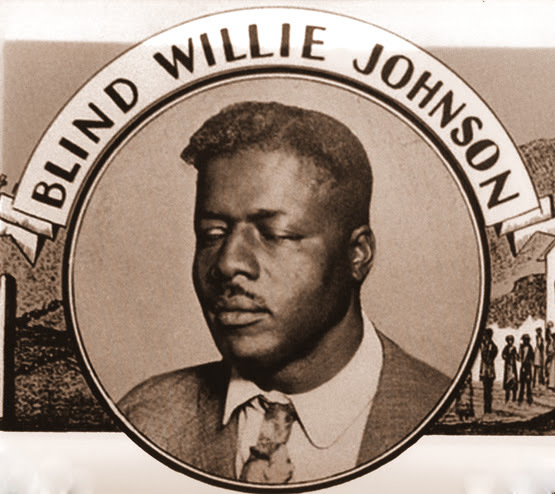 Blind Willie Johnson recorded a total of 30 tracks for Columbia between 1927 and 1930, creating a priceless legacy. He created unforgettable music by marrying the gospel fervor of his vocals with the steely blues fire of his guitar. His songs were mostly traditional or came from hymnals, but when Johnson performed them, his soul-shaking voice and amazing slide guitar transformed each one into something wholly original. Produced by Jeffrey Gaskill, God Don’t Never Change: The Songs Of Blind Willie Johnson highlights the music of one of the most charismatic and influential slide guitarists who ever walked the Earth. As Gaskill states, “Blind Willie Johnson’s music is imperishable. His music speaks to us as it laments the human condition; it speaks to us as it praises the steadfastness of an unchanging God. It travels through time with the same bold call of repentance that was once delivered to listeners on Texas street corners. Ultimately, it is the message that endures.” God Don’t Never Change: The Songs Of Blind Willie Johnson is, according to Gaskill, “my life’s work.” The project was years in the making, and Gaskill is thrilled that it’s finally ready to be released. On God Don’t Never Change: The Songs Of Blind Willie Johnson, each artist sounds as if he or she was born to preach Johnson’s gospel. These eleven performances are a powerful and cohesive affirmation of faith as deep as the soul of a man, with an eternal message that is as boundless as the dark, cold night at the farthest edge of the universe.